Below are a range of resources that can support the engagement of students with supported education needs in quality processes. Institutions can book sparqs to deliver these sessions, in partnership with support workers from the institution (there should be one support worker for every 5 delegates at a session). Ideally there should be no more than 10 participants per session. The training lasts for 2 hours. Institutions can also opt to download these materials for in-house delivery. If you deliver this Course Rep Training without our support, we can produce certificates for your participants upon receipt of your evaluation data and attendee details. sparqs worked in partnership with ENABLE during the academic year 2013-14 to deliver Course Rep Training to students in supported education. ENABLE received funding from the Scottish Funding Council to support transition into employment for students in supported education and a key part of this is enabling the development of active, participating citizens. Being an effective course rep is an excellent way of learning how to be an active citizen and contribute to the wider student experience, so fitted well within the remit of the project. 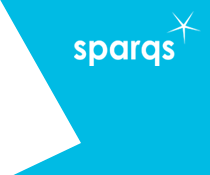 sparqs trained all the Transitions Co-ordinators in quality and learning and teaching in Scotland’s colleges as well as how to deliver the sparqs Course Rep Training for students in supported education. This was a one year project and sparqs is exploring ways of developing this work further. On Wednesday 19th August 2015 we held a half-day workshop aimed at staff who provide CRT or support course reps in supported education, exploring how the college can get more involved in developing supported education course reps. See the event page for further information.